PARIS (Reuters) - A jump in luxury cosmetic sales at L'Oreal (OREP.PA) offset a weak first quarter for several of the French company's other divisions, with overall like-for-like revenues 4.2 percent higher, slightly above forecasts. L'Oreal, which produces Maybelline make-up and Garnier shampoo, said that demand for its mass-market consumer products was slow to pick up in the first three months of the year. Sales in this unit rose 1.4 percent from a year earlier on a like-for-like basis, which strips out swings in currency exchange rates and acquisitions or disposals. They had grown 4.2 percent on an annual basis in the fourth quarter. Chief Executive Jean-Paul Agon told a conference call on Tuesday that this trend would likely be reversed in the rest of 2017, however, as the consumer division returned to healthier growth rates after a "strange" start to the year. Demand for L'Oreal's luxury cosmetics was especially strong in Asia, with sales up 12.2 percent on a like-for-like basis. "This part of the world is a fantastic opportunity for our luxury division," Agon said, adding that cosmetic brands like Lancome, Armani and Yves Saint Laurent were "on fire" in China and attracting young consumers. That contrasted with shrinking sales in the company's professional unit, which makes products for salons. L'Oreal also said sales were particularly weak in its home market, which accounts for just under 8 percent of its revenues, although other parts of Europe such as Britain and Germany held up better and the United States performed well. Reported sales across the L'Oreal group were up 7.5 percent at 7.04 billion euros ($7.5 billion), slightly above analyst expectations. Analysts had forecast like-for-like sales across the group to rise 3.9 percent, according a compilation for Reuters by Inquiry Financial. L'Oreal said that it would decide on a possible sale of retailer The Body Shop, an ethical beauty pioneer that has struggled with rising competition, in the coming months. 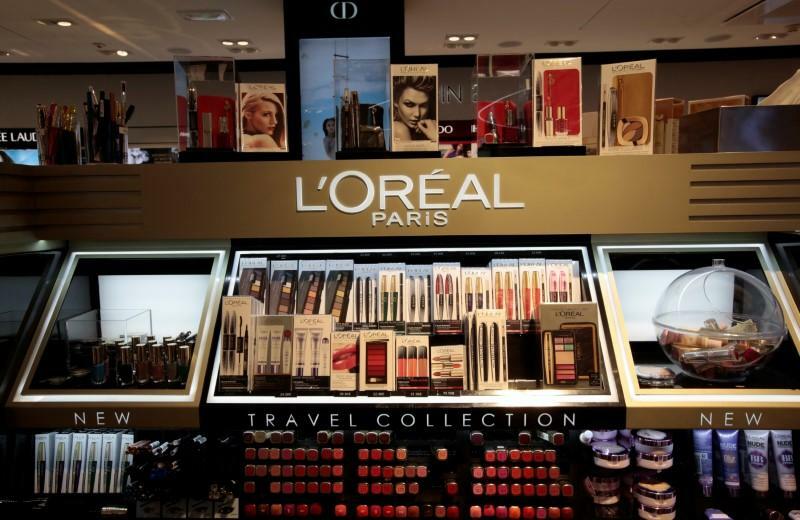 Shares in L'Oreal closed down 0.52 percent at 180.1 euros per share before the company released its earnings.